Final Fantasy Tactics is a tactical RPG released on the Sony PlayStation that features an intriguing political storyline with a strategic and complex battle system. 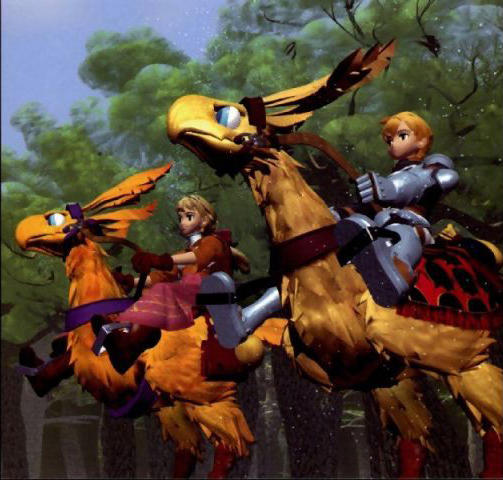 As Yasumi Matsuno’s first project after joining SquareSoft, Final Fantasy Tactics introduced players to the war ravaged kingdom of Ivalice. Final Fantasy Tactics is deep and engrossing, featuring the greatest edition of the job system used in many Final Fantasy titles. The game is difficult and dense, but the committed player is rewarded with one of the greatest stories told in an RPG. 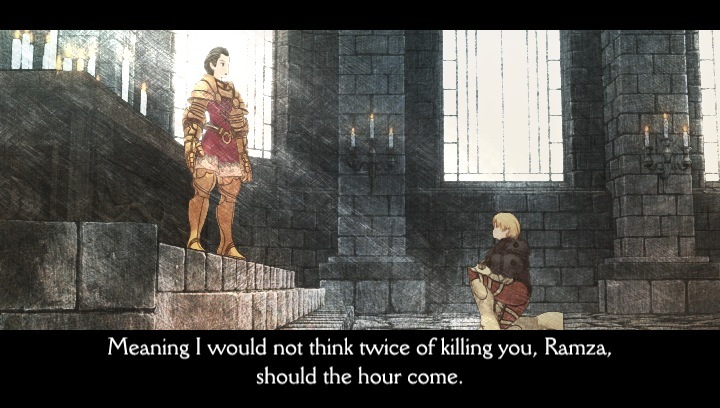 The story of Final Fantasy Tactics is set during the events of “The War of the Lions”, where Duke Larg and Duke Goltanna are fighting each other to claim the throne. It is on this backdrop that childhood friends, the high born Ramza Beoulve and low born Delita witness the ugly prejudice between nobles and commoners. The tragic death of Delita’s sister changes both of their lives, as Delita begins a plan to use and manipulate the nobility to rise above his rank and seek rule over Ivalice, while Ramza denounces his noble name and fights unrewarded for justice and to protect the princess who is caught up in the political mess. The mature narrative delves into the morals of both men as one becomes the corrupt hero that the public praises, while the other becomes the brave hero that the pages of history forgot. 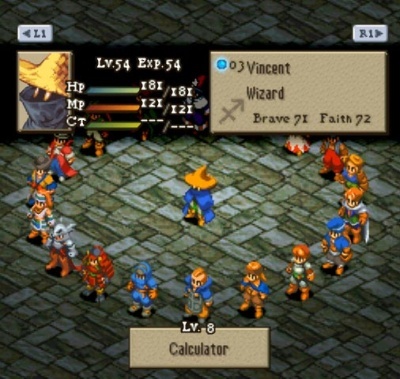 Battles in Final Fantasy Tactics take place on a 3D isometric field. Each party member can be controlled by moving them around the field and selecting attacks, spells and items. It plays out like a game of chess as position and strategy are very important to the outcome of the battle. Characters are fully customisable, using the extensive job system. There are over 20 different classes to choose from including special versions for important characters. By equipping your army with the likes of Knights, Mages, Summoners and Ninjas, the game is endlessly re-playable and engaging. The music of Final Fantasy Tactics is both beautiful and mysterious. The battle theme “Trisection” is stirring, but thoughtful, emulating the game-plays use of tactics, while the melodic piano piece “Hero’s Theme” captures the tragic struggle of Delita and Ramza. The soundtrack compliments the story fantastically. Final Fantasy Tactics is an extremely deep and rewarding experience. If you wish to play an RPG that will challenge and captivate you from beginning to end you should play Final Fantasy Tactics. Final Fantasy Tactics tells the story of the “War of the Lions” in which two Dukes are battling to take over leadership of the kingdom of Ivalice. History is written to show that a man of common blood rose to become king and bring peace to all of Ivalice, but through the game’s narrative it is revealed that all is not as it seemed. 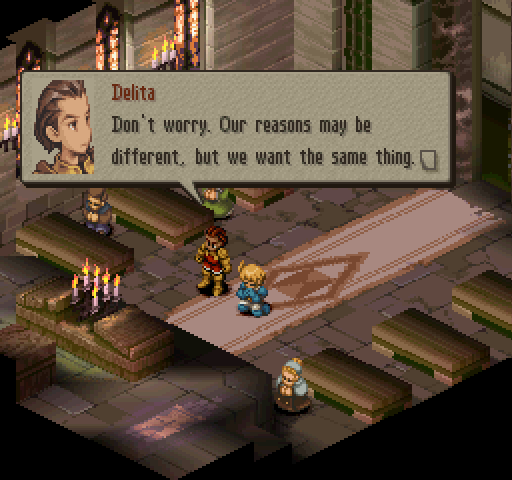 Two “heroes” are shown throughout the game; Delita, the future King of Ivalice and Ramza, the main playable character who the pages of history forgot. 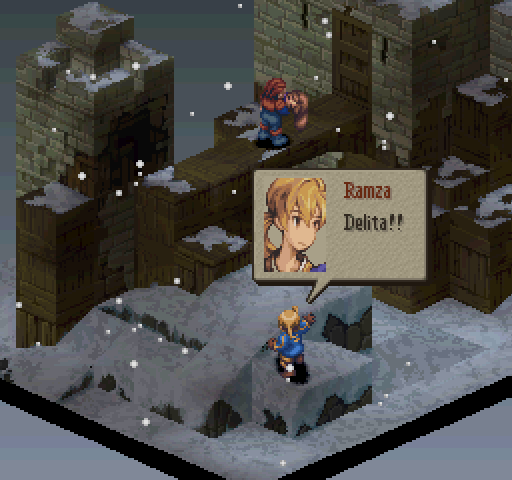 The opening chapter in Final Fantasy Tactics introduces the player to the relationship between Ramza Beoulve, the youngest son of a famous noble family and his friend Delita Heiral, who was born a commoner, but was adopted into the Beoulve family. During their youth they discover the harsh realities of the world they live in and the barrier between people’s birth and class. Culminating in the death of Delita’s sister as she is cruelly sacrificed because of her common blood, the pair goes on separate paths. It is here that the story expertly portrays the different choices both men make that lead to their ultimate fates. Delita aspires to rise above his status and control his own destiny. He very much believes that the end justifies the means and sets in motion a plan to manipulate, deceive and backstab everyone to satisfy his own ambitions. 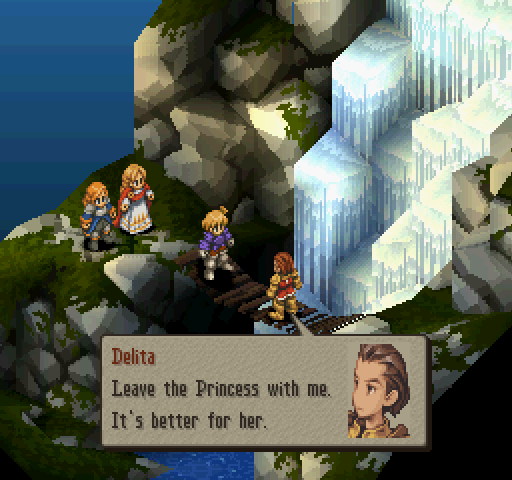 As the story plays out, Delita changes sides and allies, always pulling the strings, before he succeeds in his plan to rise to the throne and marry the princess Ovelia. After becoming the King of Ivalice and supposedly fulfilling his objective, Ovelia confronts him about manipulating her and others and through her distrust attempts to kill him. As Delita defends himself and retaliates, he is left questioning whether the path he chose led him to happiness. Although Delita is remembered in history as a saviour, he is presented as a tragic hero, much like some of Shakespeare’s famous characters. On the other path, a disillusioned Ramza rejects the noble Beoulve name and sets off to fight for justice, protect the princess who is caught up in the political mess and discover Delita’s motives. Ramza is shown to always hold his morals over anything else and in a world of deceit, he is brave enough to choose what he believes is right. Eventually branded a heretic, by the corrupt Glabados Church, Ramza continues to fight for the good of all, even though his part as the true hero of Ivalice is never known to the public. Ramza is portrayed as a great hero, in that he holds no special powers, but he is just an ordinary man who shows courage and resilience beyond all the other characters. Ramza’s ultimate fate is never confirmed, although it is hinted that he may have lived a peaceful life with his beloved sister. While Final Fantasy Tactics deals with the barriers between nobles and commoners and the ugly face of human nature during war, in the end it shows that a man can always be content with how he chooses to live his life.